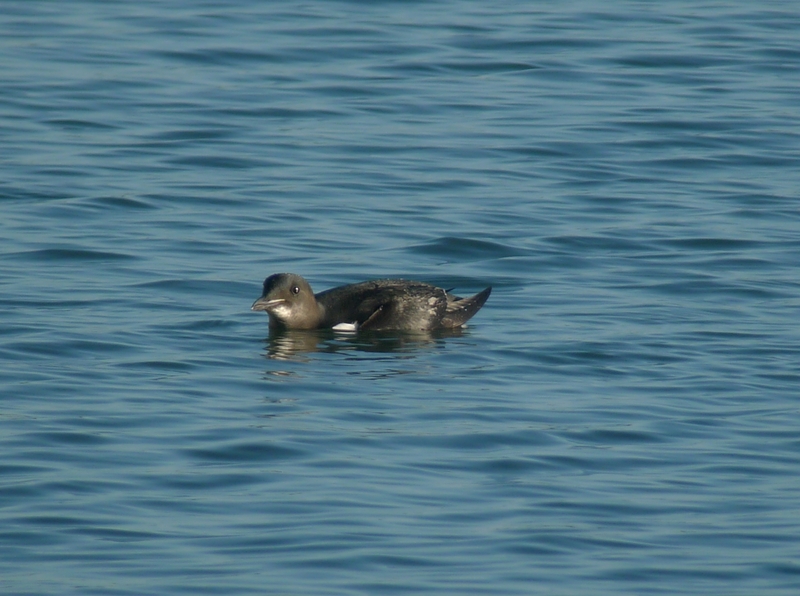 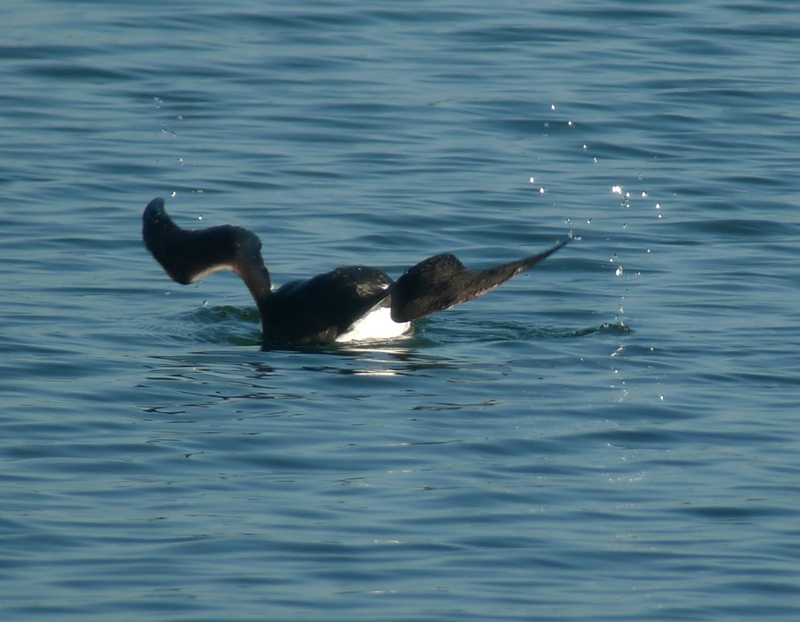 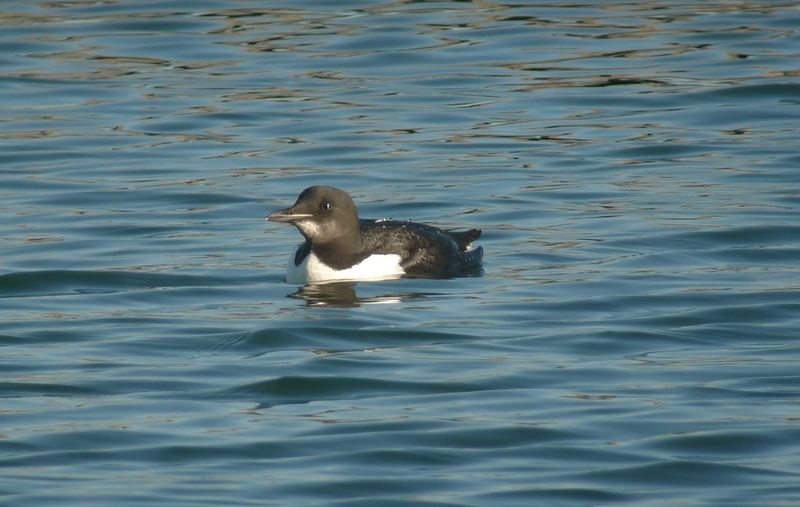 A Brunnich’s Guillemot was identified in Portland Harbour, Dorset, four days ago. 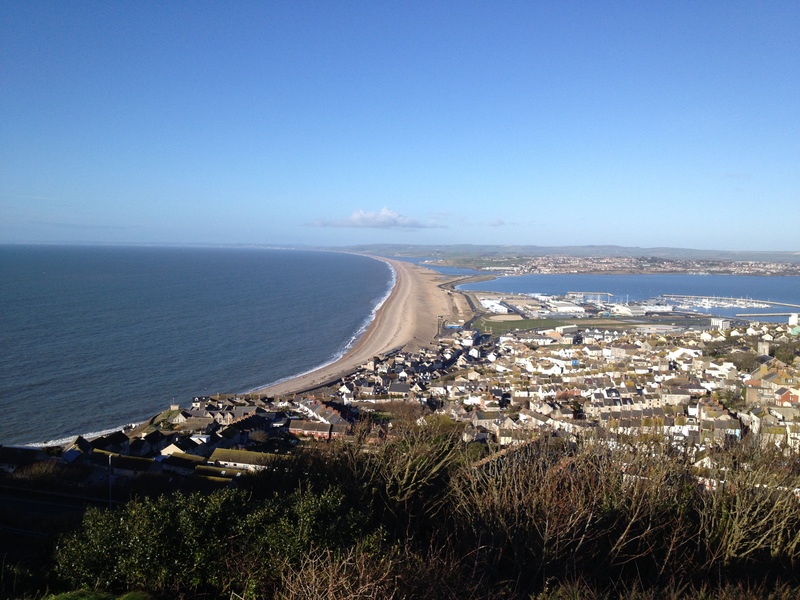 This was the first opportunity I have had to get down there and luckily it was still there. 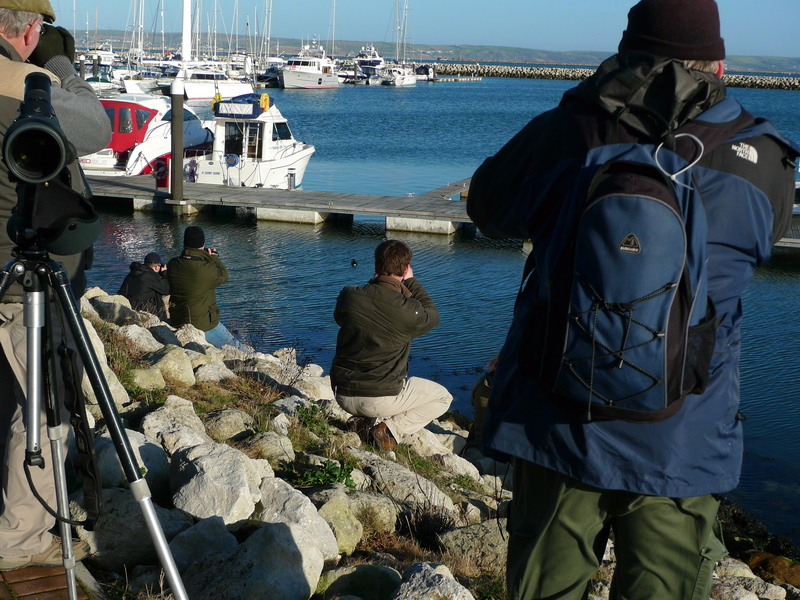 We set off at 5am and arrived at first light. 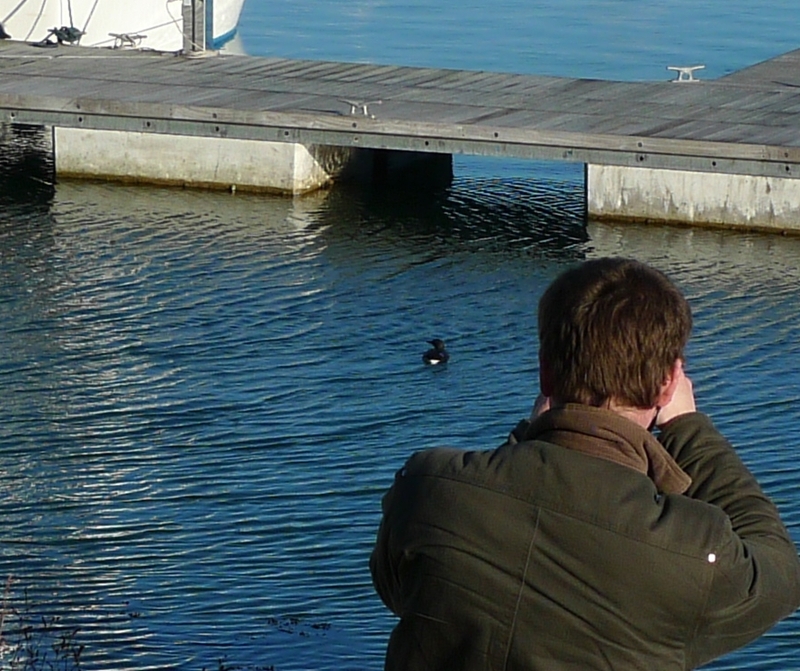 The bird was not seen for the first hour of daylight and I was beginning to think it had departed. 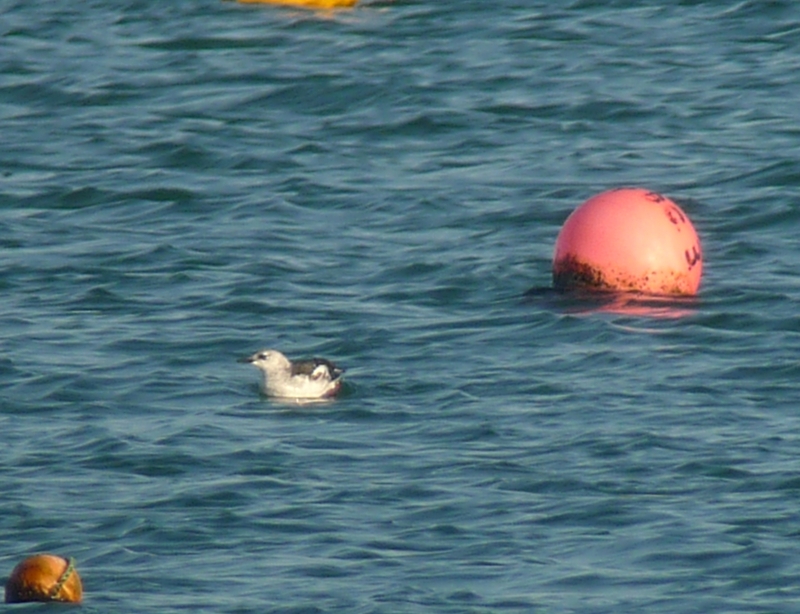 Fortunately it was seen and eventually I managed to get a few pictures. 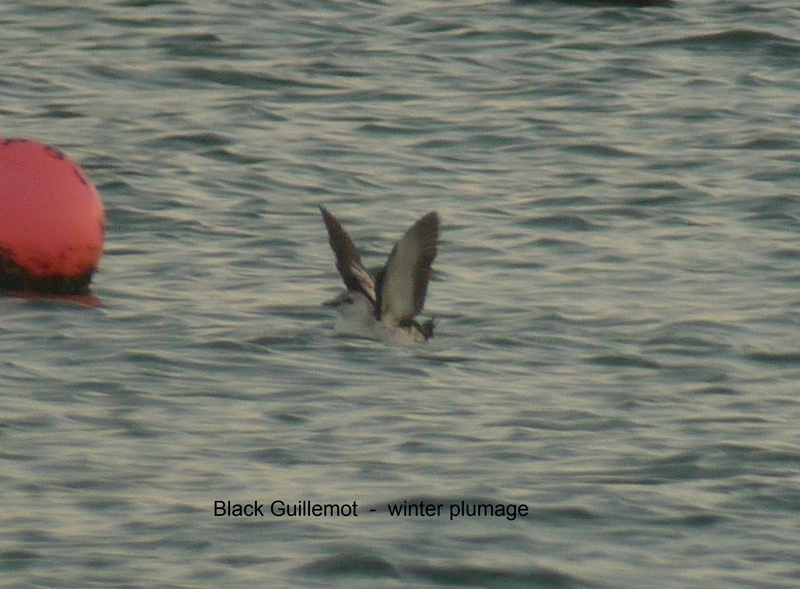 It spent all the time I was there diving, coming up for a few seconds and then diving again and was therefore difficult to photograph.There was also a winter plumaged Black Guillemot, 2 Great Northern Divers and lots of Red Breasted Mergansers in the harbour. 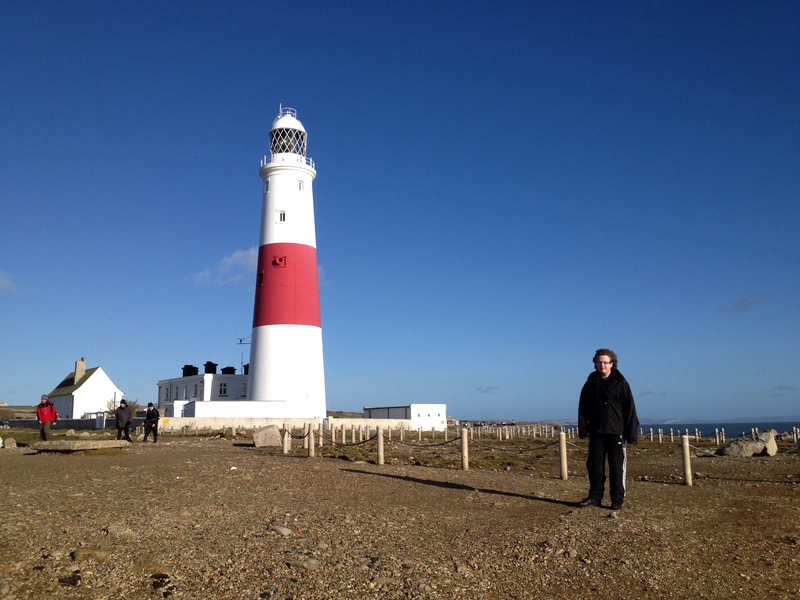 We also went to Portland Bill.